Wicked Stitchers exhibit again – we enjoyed it so much last time we want to do it again! 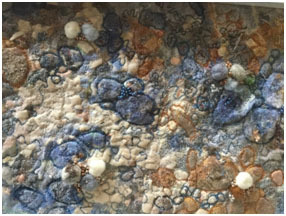 We are a diverse group of textile artists who joined together to enjoy and share a love of fibre and stitch. This show of works includes traditional and contemporary needlework with a twist!